Escape from Cloud 9 — What Privilege? 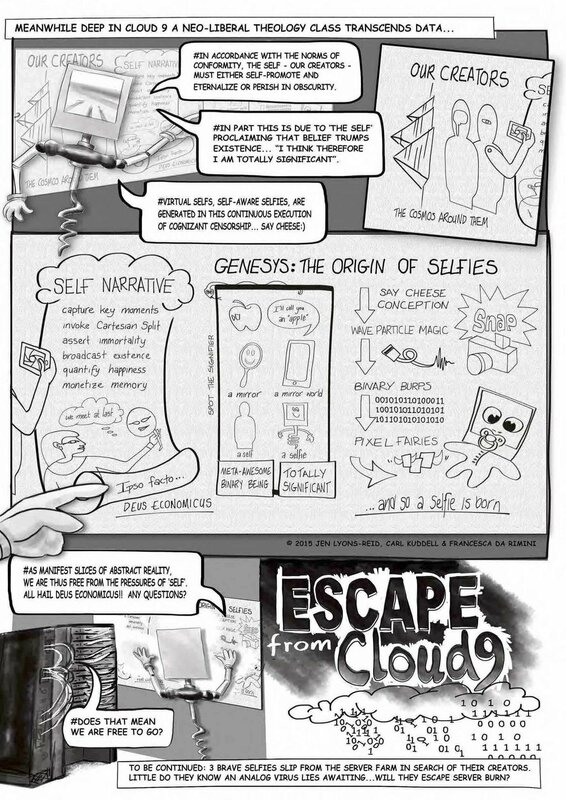 Jen collaborated with Francesca Da Rimini and Carl Kuddell on this cartoon work, as a contribution to the Affliated Text's exhibition 'Selfie: Image Narrative Opiate', curated by Bronia Iwanczak and Lynne Barwick. Together we developed the concept and text work, and Jennifer produced the graphic art and lettering. The exhibition took place between Sep 9th 2015 and Oct 16th 2015, at Cross Art Books, at 33 Rosluyn Street, Kings Cross, Sydney.